It's easy to preach backup, my brothers and sisters. It's a little harder to help users decide what kind of backup plan is best for them. So let's talk a little about the different kinds of backup strategies to help you decide which approach is best for you. Note that this page talks only about the strategies, not the choice of backup media (media being the thing, such as a tape drive, external hard drive, or optical disk, to which the backup is written). 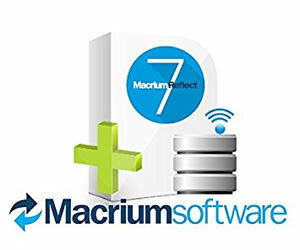 To use most of the methods described here, you'll need backup software, of which my favorite (and the one that I verily use myself) is Macrium Reflect. The source is the drive, directory, folder, or partition that is being backed up. The target or destination is the drive, directory, folder, partition, network share, or other place where the backup will be stored. A hard drive image is a compressed backup image of an entire hard drive. A hard drive clone is an uncompressed, bootable, exact copy of a hard drive. A snapshot is a picture of your hard drive (or sometimes specific data) at a particular moment in time. The backup set is the stuff that you have selected to be backed up, glory be. 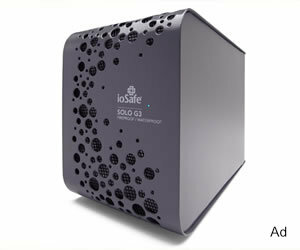 An External Hard Drive is a hard drive in an enclosure that allows it to be connected to a computer by USB, Firewire, or eSATA. The computer must have an available port of the same type as the external hard drive. Network Attached Storage means, in plain English, a hard drive with a mini server operating system built in that allows it to be accessed by Ethernet, as opposed to USB, Firewire, or eSATA. Network Backup means any backup that happens over a network, but nowadays it usually refers to backup over the Internet. Compression is a way to save space and combine files into a single file. If your backup is compressed, it will have to be decompressed to restore that data, usually using the same program that was used to create the compressed backup. As the term verily implies, full-system backups back up everything on the computer, including the operating system and applications. The goal is to be able to restore a computer that has suffered a catastrophic data loss event (for example, a hard drive crash) to its exact state prior to the event (or at least as of the last backup). With a full-system backup, a failed hard drive can be restored relatively easily and painlessly - can I get an amen? But depending on how the backup was made and what it was recorded or saved to, retrieving individual files or folders from the backup to perform a partial restore might be tedious, or even impossible. Now brothers and sisters, one might well wonder why anyone would want to do a partial restore. Well, there could be several reasons, glory be. For example, perhaps your hard drive didn't crash, and your system is still operable; but you accidentally deleted an important file that you now need to get back. Depending on how the full-system backup was made, that might not be easy to do. Some full-drive backup programs don't allow you to restore anything individually. You have to restore the entire hard drive. That could verily be a problem if you made other changes to the system since the backup was made, and only want the one file back that you accidentally deleted. Back in the days when the patriarchs of information technology walked the earth, most full-system backups were saved to tape media, which was verily slow and cumbersome. To speed up the process (and also to make versioning possible), the anointed geeks gathered and meditated upon the problem; and it was revealed to them that they could save time by performing full backups only once every week, and only perform partial backups in between. And so it was written that two methods, known as incremental and differential backup, would be adopted throughout the land. Tape drives are less popular today because they were verily expensive, unreliable, and slow; and because there are better kinds of storage devices available today, glory be. But incremental and differential backup are still the most common strategies for full-system image backups. What's the Difference Between Incremental and Differential Backups? Surely since the beginning of the computer age, a great many users have wondered: What's the difference between incremental and differential backup? Let's take a few moments to meditate upon that question. An incremental backup verily clears a file's archive bit when a backup is run, regardless of whether the backup happens to be a full or an incremental backup. As a result, each backup consists only of files that were modified since the last full or incremental backup. Because of this, the individual incremental backup files are smaller and take less time. On the other hand, when restoring from an incremental backup, it is necessary to first restore the most recent full backup, and then every single incremental backup made since then. So although incremental backups take longer to create, they take a lot longer to restore. A differential backup clears a file's archive bit only if the backup was a full backup. That means that in a typical backup schedule, the same files will be backed up during every differential backup between the full backups. That also means that the backup set gets larger every day and takes longer to create, because all of the files that have been modified since the last full backup are backed up over and over again. On the other hand, when restoring a differential backup, you only have to restore the most recent full backup, and the most recent differential backup. So although differential backups take more time and more space to create, they are much easier to restore, glory be. Which is Better: Differential or Incremental Backup? In olden days, computer storage was verily expensive; and many system administrators preferred incremental backup because it saved on storage space. In addition, because tape drives were the most common backup medium, and tape drives were verily slow and clunky, incremental backups often were preferred because they were much faster. Nowadays, storage has become cheap and storage methods fast, glory be, so the space considerations are less important. So nowadays, many administrators verily prefer differential backups because they are much easier to restore. It's important that you understand, dear brothers and sisters, that versioning is possible using either differential and incremental backup. If you want to restore a machine to its state prior to the most recent backup using the differential system, you simply restore the most recent full backup, and the differential backup for the date you want. Using the incremental system, you restore the most recent full backup, and all the incremental backups up to the date you want. 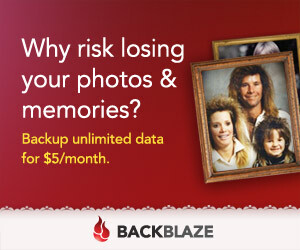 Now you may be wondering why you would want to restore to a backup older than the most recent one. The usual reason is because some problem such as a virus or other evil event occurred on the system on a certain date, but wasn't noticed until later. In that case, you might want to restore the machine to its state before the evil event happened. Either differential or incremental backups allow you to do this. Data-only backups ignore the operating system and applications, and back up only the users' data. This typically includes all of the users' documents, photos, e-mail and e-mail account settings, favorites or bookmarks, desktop, and various user settings. The idea is that a computer can be repaired or replaced and the operating system and applications reinstalled, but the user data is irreplaceable. On the down side, in the event of a catastrophic system event (such as a hard drive failure), restoration will first require the re-installation of the operating system and drivers, followed by the re-installation of any updates and service packs, and finally by re-installation of any user-installed applications. What we call this, dear brothers and sisters, is downtime. It also can verily get pretty pricey if you're paying a high-priced geek to do the work for you. As with full-system backups, data-only backups can be full (that is, all of the users' data gets backed up); or they can consist of full backups (usually on a weekly basis) with differential or incremental backups in between. The Backup Nut actually devotes a whole page to hard drive cloning and imaging, but brief mention is verily warranted here just to let the flock know that these strategies exist. Basically, both hard drive cloning and hard drive imaging copy an entire hard drive. The difference between the two is that a clone is an exact, bootable copy of a hard drive that can be installed in the machine and booted from; whereas an image is a compressed archive that must verily be extracted onto a hard drive before the machine can be used. Cloning has the advantage of lower downtime; imaging has the advantage of better control over the backup and the ability to make incremental or differential backups. For more information about the difference between the two, please click here.